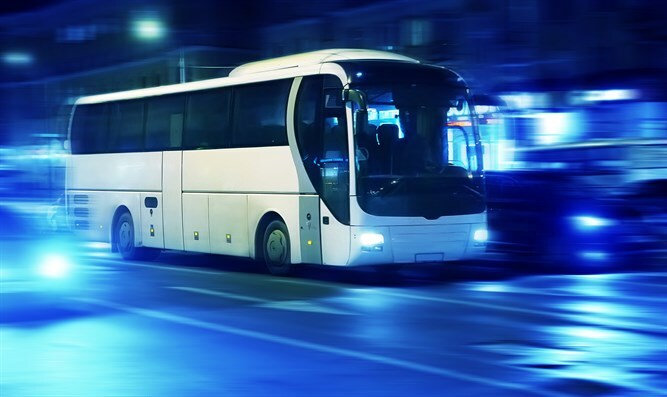 Private bus operators ordered to end special Shabbat bus lines, observe Jewish day of rest like other public transportation. The Transportation Ministry is cracking down on private bus lines that operate on Shabbat, arguing that their method of collecting payment makes them a version of public transportation, whose operation is forbidden on the Jewish day of rest. Dror Gonen, a senior official in the Transportation Ministry, fired off a letter to the Shabus and Yambus bus companies, demanding an explanation of how it is possible that the bus line does not run afoul of a 1947 prohibition against public transportation on Shabbat. "You are required to submit a letter explaining the legality of your service," read the missive. Under the status quo arrangement which has guided public and government policy on issues of religion and state, most public transportation is forbidden in Israel on Shabbat. While certain inter-city bus lines are permitted, mostly for the sake of helping soldiers reach their base, and there is service in Haifa by the agreement, some secular Israelis have pushed to abandon the decades-old status quo. Jerusalem-based Shabus and the Tel Aviv Yambus were launched in 2015 in an effort to challenge the ban, which has existed since 1947 as part of an agreement between then-Prime Minister David Ben-Gurion and the haredi Agudat Yisrael and Religiou Zionist movements. Last Wednesday, the State told the Supreme Court that public transportation on Shabbat was not a vital need for the public, rebuffing a petition to the Court which argued that the ban on transportation harmed Israeli citizens. A hearing over the issue is scheduled for Wednesday. Haredi MKs lauded the move, telling Kikar Hashabbat that "this means that the pressuring the government on Shabbat related issues works, and the Transportation Ministry is beginning to deal with the issue of Shabbat desecration." Shabbat observance has become a hot-button issue lately. Prime Minister Netanyahu is attempting to officially sanction soccer games on Shabbat, and the haredi parties have been at loggerheads with Transportation Minister Yisrael Katz over continuing Israel Railways Shabbat desecration.